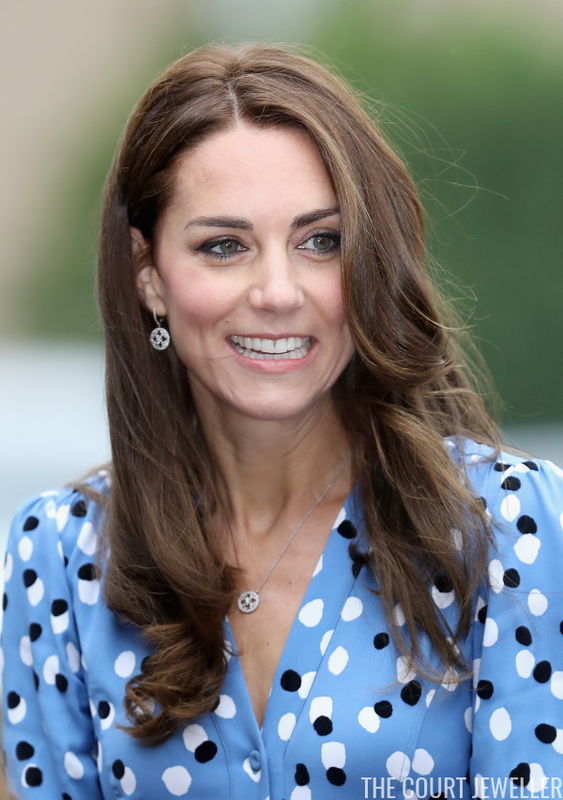 Kate's earrings and pendant necklace are both from Mappin and Webb's "Empress" line of jewelry. Here's a link to one of our earlier posts on the suite, which features more details and close-up images. 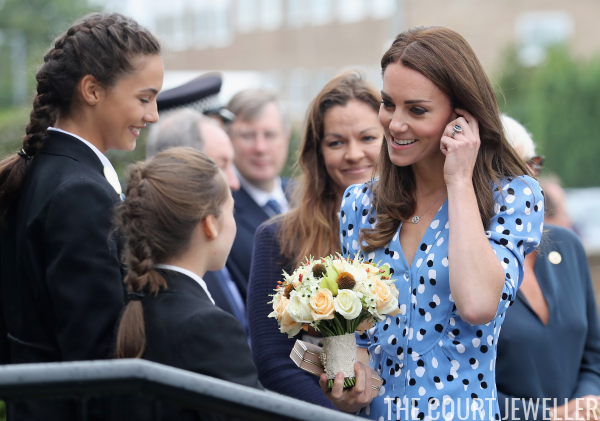 Kate left her Cartier wristwatch at home for this occasion; her only other jewels were her wedding and engagement rings.